I was referred to Tina by my sister and I am very greatful for that. I was selling my condo out of state, which can be very stressful, and Tina went above and beyond what I expected. It was comforting having someone to rely on when I couldn't be there for anything. She was very professional, extremely reliable, and friendly. This entire process was all new to me and Tina was there to help me through every step. She was always on top of everything, which made the complicated task of selling a condo, very easy for me! I give Tina my highest recommendation, she is the best at what she does! Thank you Tina, for everything!! Tina was great to work with from start to finish. She helped stage the house, did multiple open houses, and got the house under contract faster than we thought it would take. Once under contract, she made sure everything stayed on track all the way through the close. I would definitely recommend Tina to anyone looking to see their home. Tina was great to work with. She helped us through one of the most stressful buying experiences I've ever heard of. She always took the role of our advocate and her attention to detail had her keeping up on all aspects of the transaction. She isn't just our realtor but a new friend. As upcoming empty-nesters, we knew we needed a different style home than we had grown accustomed. Tina showed the utmost PATIENCE and PROFESSIONALISM as we explored our options. When we found our perfect home in Lakewood Ranch, Tina made the buying process smooth and effortless, from negotiations to closing. My husband and I highly recommend her to our family, friends and colleagues for her KNOWLEDGE and INTEGRITY. Thank you, Tina. Tina was very helpful throughout the entire process especially since I was in Massachusetts. She always returned my calls when she said she would, and went out of her way to help with all the paperwork on her end. You always came through for me above and beyond! If anyone needs a vacation home or move to Florida, I would suggest they contact Tina Ciaccio. I was skeptical about selling a property from out of state. The prospect of dealing with repairs, cleaning and inspections did not sit well with me. I thought for sure I’d be flying down every other week for one thing or the other. Tina listened when we said we wanted to sell quick with minimal up front expenses. She was like having an extension of my arm when it came to preparing the place for showings. She did a remarkable job marketing the place and this was evident when we received our first offer just three days after it was listed. I would without a doubt hire Tina again, as she put our interests first and we received every cent that we wanted from our property. We had a very tough, lengthy sale. Tina was with us every step of the way. She feels more like a trusted friend than anything. Not to mention that she is one of the hardest working realtors I've ever met. Thank you for taking such good care of us Tina. We are so thankful that you were on our team! Tina was an absolute pleasure to work with! She was very accommodating and flexible with my crazy schedule. She was supportive through every step of the process and made sure I was happy. I would work with Tina again and would highly recommend her! Tina Ciaccio is without a doubt the hardest working and most professional realtor we have ever worked with! Her online presentation of our property and her written materials were excellent. She has a remarkable attention to detail and was able to help us present our home properly. Tina communicated with us regularly; she returned phone calls and emails quickly. We were very happy with the job she did for us and would highly recommend her to anyone planning to sell their home! I cannot speak highly enough of Tina and what a wonderful representative she is for Michael Saunders & Company. Tina’s professionalism, attention to detail, and outstanding customer relations all add up to one fantastic sales agent. I have worked with a number of different agents, mostly in the New York and Westchester areas, and Tina is by far the best. Should I have an opportunity to recommend her to potential buyers, I most certainly will do so. 5 STARS!!! Tina is by far the BEST Real Estate Agent in Lakewood Ranch, Sarasota and Bradenton. We listed two (2) houses within a week. Tina had a Contract on the first house in 42 days and a Contract on the second house in 29 days, both at favorable prices for us. We interviewed the top three (3) Real Estate Firms/Agents in the area and Tina's presentation far exceeded her competition. We found Tina to be outstanding in Staging, Marketing, Showings and COMMUNICATING. The Michael Saunders and Company resources and systems are also exceptional. As information, we are Licensed Real Estate Agents and have been so in three (3) states thus have a solid understanding of how to select the BEST Real Estate Agent. Tina represented us in the purchase of our new home in Lakewood Ranch, Florida. We had met Tina several years prior to our current home purchase when we were 'passively looking'. We discussed very specific items & requirements we were looking for including: lot location, orientation to the sun, home layout and flow, specific home features that were important...and those which were not important. Tina didn't contact us until she found a very specific option, which turned out to be just not quite right. Several weeks later we toured the home we ended up purchasing which met all of our wants and needs. Competitive analysis, contract negotiation, title prep and timely communication enabled our buying process and closing to go flawless. A true professional with a keen understanding of her clients needs coupled with deep knowledge about current market conditions enabled Tina to exceed all of our requirements. I highly recommend and endorse Tina if you want to work with the best. We couldn't have had a better experience! Tina was very helpful when we had any questions and made everything easy. She was always quick to respond and made sure we were aware of everything needed to make this process smooth all the way through. As a Realtor, Tina Ciaccio has earned our highest recommendation. She has much to offer her clients: excellent guidance, persistence, diligence, outstanding negotiation skills, patience, sterling communication, a charming personality, attention to detail, tireless availability, and exceptional knowledge concerning the wide range of homes in the Lakewood Ranch/Bradenton area. 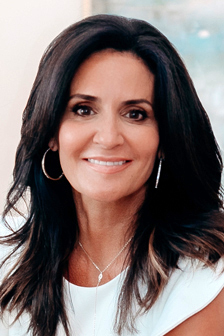 We plan to stay in our home forever, but if we were to move again, we would absolutely work with her because Tina Ciaccio is the crystal clear choice to make anyone's real estate dreams become reality. Tina just sold my third house. She is the best realtor I’ve ever worked with. She goes over and beyond to assure I’m getting the best price for my home. She’s honest and trust worth. We were in search of our first home in Florida. A family member referred us to Tina Ciaccio to assist in the buying process. She showed us several resale and new construction homes. We didn't think we would find what we were looking for until Tina suggested we look at a new community in Bradenton, Florida. Tina found us the home we were looking for, in an A-rated school district, and in our desired price range. She was patient, helpful and always acting as our advocate in dealing with the builder. We are very thankful for everything Tina has done for us throughout the entire process. We have no hesitation in highly recommending Tina to all our friends and family looking for a realtor. Tina is an incredible agent in that she has the perfect balance of tact and aggressiveness in the pursuit of her clients objectives. She is an expert in the nuances of today's market, and as such has the knowledge and the skills to best handle real estate transactions from either the buyer or seller side. Tina has great integrity, really a beautiful person inside and out. Individuals that you trust to help guide you through life's important decisions are not easy to find. I was one of the fortunate individuals to meet and work with Tina in the buying of my new home. What I discovered was Tina isn't a realtor who can help you buy or sell a house. Instead, Tina is an investor in people; investing in moving you through what could otherwise be a tough transition in your life. Her style was to work around my needs. When things needed to change quick or slow down, she made them happen and I never had to ask twice. Most importantly, she treated me like I was the only client she had. To her I say thank you, and to you reading this; if you are lucky enough to work with her...you should. Tina is perfection! My husband and I came in from out of state with one day to look and find a home. She actually achieved this for us! She was knowledgeable in helping us narrow our search and tireless in her response to our needs. She is smart and warm and gets the job done. We have bought and sold many houses over the years, but never as fast as this one. Tina was instrumental in helping us move fast and to be thorough as she is meticulous in all the details. Awesome experience! Working with Tina is a real pleasure. She is very professional and very knowledgeable in all aspects of the real estate market. Tina is very considerate and a joy to be around and to work with. We highly recommend her to anyone who wants to sell their property in any price range. She will get the job done! Tina helped us find our DREAM home in Lakewood Ranch... She is a fantastic Realtor, I highly recommend. This was truly the best home-buying experience we've ever had, thank you Tina!!! Working with Tina was a very positive experience. She had great ideas for staging the house. She was active and energetic in promoting the house, including open houses, in a slow market. She was responsive to our issues and questions and was always quick to get in touch with us or return emails and phone calls. We highly recommend her. Working with Tina was an absolute pleasure. She is extremely knowledgeable in the local market and has a great network. Tina helped stage our home to show like a model. She produced excellent marketing materials - the amazing video she created for our home was what sold our buyer. She was always very enthusiastic to promote our home and very responsive with feedback. We highly recommend Tina! Working with Tina Ciaccio not only brought a great final result, but it was a pleasure all along the way. She is extremely tuned in to her client’s needs and she used all available resources to get them their desired end result. Her professional courtesy and integrity are attributes why I look forward to working with her again in the near future. We knew we needed an exceptional real estate agent that had the know-how to sell our family's luxury home. We got that, and so much more with Tina. She used high end marketing that surpassed anything we've seen before. It's clear why she was the agent that finally broke the 6 year long sales cap in our neighborhood. We can't thank you enough, Tina Ciaccio! We found Tina at an open house when we were looking to relocate to FL three years ago. I instantly knew I wanted her as our realtor. She was sharp, personable and had great market knowledge. She was very helpful in the home buying experience especially since we were out of state after that initial visit. Fast forward two and a half years we outgrew the original house she helped us buy so she was the logical choice to sell it. She worked hard to sell our house (the photographer she hired was great, the marketing material she made was fantastic, the amount of open houses and advertising she committed was outstanding). Tina is a true deal maker and someone you want on your side. Besides selling our house we used her to buy our new house where she helped us negotiate a good price with really good terms. If you want someone to work hard for you in the buying & selling of your house Tina is the one for you. Tina is an outstanding real estate professional and she exceeded our expectations with the sale of our Lakewood Ranch home. She was always available to apprise us of the status, to candidly assess the prospects of potential buyers and to evaluate offers when they were presented. Tina is extremely knowledgeable in all aspects of a real estate transaction – pricing of the home for sale, assessing the competition, marketing the home, and interpreting offers when they arrive. She is a pleasant, upbeat, and an all-around happy person. Tina stays on top of the real estate market and has detailed information to help her clients make informed decisions. Also, we saw several situations where Tina’s counsel/advice was sought out by fellow realtors, which illustrates the respect she holds in the real estate community. Our home successfully sold and closed as she forecasted. If you are considering selling your home, we highly recommend enlisting Tina as your Real Estate Agent. Working with Tina was nothing but a complete pleasure. She was able to get our house sold and closed in less than 2 months on the market!! Tina is a master stager and made our home look like a model home!! The feedback that we heard during the multiple showings were all positive!! Thank you Tina! - Matt and Sarah R.
When it came time to sell our 10,000+ SF estate in Lakewood Ranch, we needed someone with the right skills and appropriate image to represent our home. Tina Ciaccio handled the entire transaction with grace and diligence. She effortlessly handled working with our business managers, advisors, decorators and staff. Tina Ciaccio listened to our needs and made those needs her priority. I have bought 10 houses over the last 2 yrs. and Tina Ciaccio is very professional and very knowledgeable and is available to answer any questions 24/7. She has been the best realtor we’ve ever worked with!! I found Tina to be very professional in all our dealings. She always kept me fully informed on what was going on. She always returned my calls and emails and was always courteous. I would definitely use her services again. Tina is a very conscientious Realtor who is dedicated to her clients and is superb at anticipating their needs. She went above and beyond in helping us choose the right home for our family and coming in at the correct price for the market!! I would highly recommend Tina whether selling or buying and would use her again in the future! We had a great experience with Tina. She will make your transaction a breeze. She is very thorough, knowledgeable, timely and goes above and beyond to help you through this experience. Of course we've bugged her after the transaction for referrals and odds and ends, and she has been very patient and helpful considering all that as a part of the service. We recommend her without reservation.